With project managers that average 20-plus years of experience, H.J. Martin and Son specializes in meeting the level of detail within GSA guidelines that drive any government plan. We have unlimited bonding capacity and have readily available compliance documentation, and are committed to sustainability through LEED certifications. The Town of Ledgeview is a growing community on the southern edge of Green Bay. Its public works facility originally was designed as a fire station, making it inefficient in the existing operational layout. The Oconto County Law Enforcement Center is a new, $32-million structure, consisting of offices for the County Sheriff, a jail facility, emergency-management offices and emergency operations center. Casework installation at the Fresno US District Courthouse in Fresno, California involved a 9-story building, which was tallest on the Fresno skyline at the time of the job. The Dane County Regional airport parking expansion adds three levels of parking, amounting to nearly 1,500 spots, to a standing parking structure of the airport serving Wisconsin's capital city of Madison. 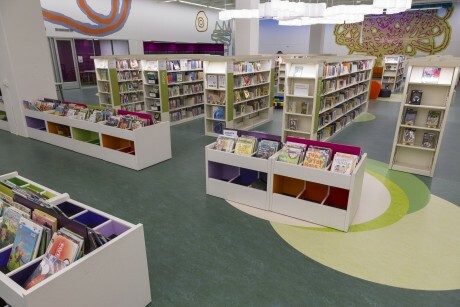 On a large scale, the worn, 45-year old Madison Central Public Library with one million visitors annually was transformed into a completely reimagined building, including the new, lower-level Children’s Reading Room. A brand-new healthcare clinic for military veterans opened in August 2013 on the east side of Green Bay, Wis. The two-story, $60-million facility improved care for veterans in Northeast Wisconsin, many of whom previously made a two-hour drive to Milwaukee for services..